Hippocrates, son of Heracleides and Praxithea, was born on the Aegean island of Kos towards the end of the fifth century BCE. His family’s wealth permitted him to have a good educational beginning as a child after which, he attended a secondary school where he had a thorough athletic training. He then went on to study medicine under his father in a form of apprenticeship by following him and another doctor, Herodicos, from patient to patient and observing their treatment. 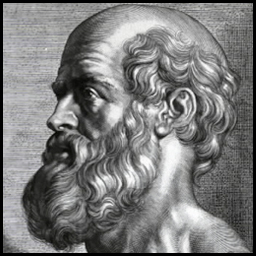 Hippocrates became a famous ambassador for medicine but Greek politics and governance had opposed his theories and approaches. For this reason, the great physician had to spend two decades in prison. During that time, he wrote his very famous book of medicine ‘The Complicated Body’. Hippocrates was not only a healer but also a teacher and founded a school of medicine in Kos. He had many students of which, his own two sons, Thessalus and Draco, and his son-in-law, Polybus. The ‘Corpus Hippocraticum’ is a collection of roughly seventy works and the oldest surviving complete medical books. Although the works have been written by people other than Hippocrates himself, probably his students and followers, it was attributed to him in antiquity as its teachings closely followed his principles. 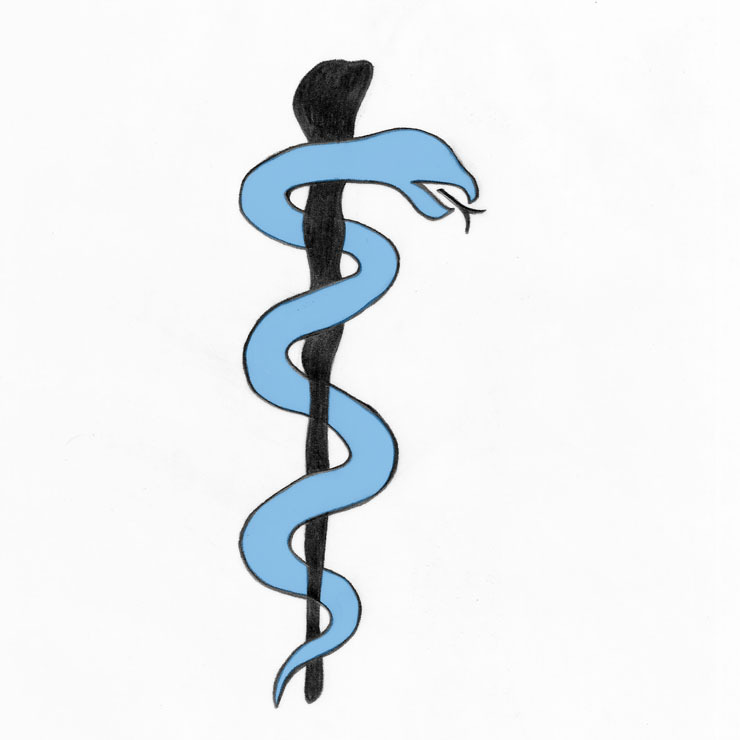 The most notable treatise from the Corpus is the Hippocratic Oath. The oath is still in use today (albeit not in its original form) and serves as a foundation for derivative oaths taken today by medical graduates about to enter medical practice. In the oath, the physician pledges to prescribe only beneficial treatments, to refrain from causing harm or hurt, and to live an exemplary life. Little is known of Hippocrates’ death other than a range of date possibilities but what lives on in modern medicine is his commitment to the treatment of disease. I swear by Apollo the physician and Asclepius, and Hygieia, and Panacea, and all the gods and goddesses, that, according to my ability and judgment, I will keep this Oath and this stipulation: To reckon him who taught me this Art equally dear to me as my parents, to share my substance with him, and relieve his necessities if required; to look upon his offspring in the same footing as my own brothers, and to teach them this art, if they shall wish to learn it, without fee or stipulation; and that by precept, lecture, and every other mode of instruction, I will impart a knowledge of the Art to my own sons, and those of my teachers, and to disciples bound by a stipulation and oath according to the law of medicine, but to none others. I will follow that system of regimen which, according to my ability and judgment, I consider for the benefit of my patients, and abstain from whatever is deleterious and mischievous. I will give no deadly medicine to any one if asked, nor suggest any such counsel; and in like manner I will not give to a woman a pessary to produce abortion. With purity and with holiness I will pass my life and practice my Art. I will not cut persons laboring under the stone, but will leave this to be done by men who are practitioners of this work. Into whatever houses I enter, I will go into them for the benefit of the sick, and will abstain from every voluntary act of mischief and corruption; and, further, from the seduction of females or males, of freemen and slaves. Whatever, in connection with my professional service, or not in connection with it, I see or hear, in the life of men, which ought not to be spoken of abroad, I will not divulge, as reckoning that all such should be kept secret.